Today I’m talking about women, fibromyalgia, and a gluten-free diet. 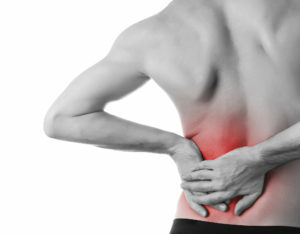 Fibromyalgia causes debilitating pain and fatigue. The illness affects 5 million American adults ages 18 years or older. While anyone can exhibit the disease regardless of age or gender, it affects women disproportionately. The cause of fibromyalgia remains unclear. It can be linked to certain diseases and lifestyle circumstances. Fibromyalgia occurs more often in people with various forms of arthritis, lupus, or a family history of the disease. It also occurs in the absence of other diseases. Treating fibromyalgia requires a multilayer approach. As a systemic disease, the kaleidoscope of symptoms it causes must be treated with a synergistic approach. Successful treatment often requires the input of professionals from a variety of medical and alternative therapy theories. Exercise – While pain and fatigue may make regular exercise challenging, it is a proven means to maintain mobility and build functional fitness levels. Nutrition – A healthful diet assists with overall health maintenance and helps prevent the onset of other diseases. It supports healthy energy levels as well. While no direct link between fibromyalgia and certain foods are documented, you may choose to monitor your diet for foods, which seem to aggravate the condition. I have had numerous readers tell me that going gluten-free has helped their fybromyalgia immensely. While fibromyalgia can be very debilitating, it can be a manageable disease. If you experience, four or more of the symptoms associated with fibromyalgia for three months or more seek medical attention. It may not be fibromyalgia, however the symptoms indicate something serious may be amiss with the body.